Escape the scorching heat with our range of inflatable pools. It is the perfect addition to the backyard of your home. Add the right amount of water and take a dip with your loved ones. Make a splash all day long in your very own private pool. 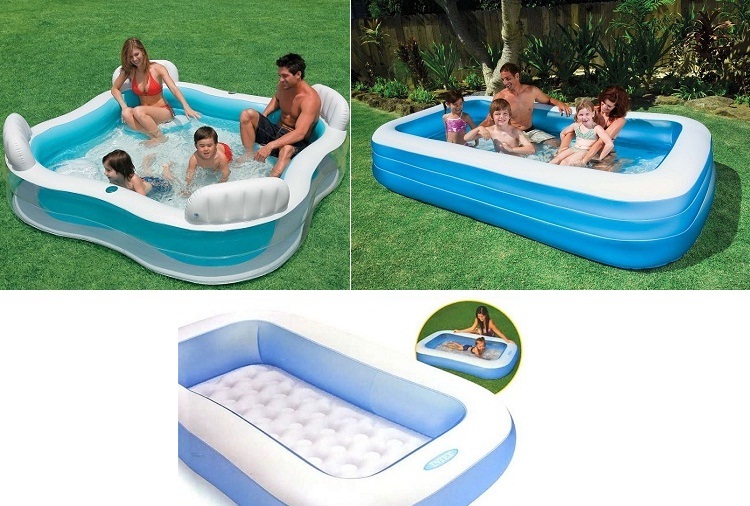 These inflatable pools are super easy to assemble. Now, you can carry it to your holiday home and create your very own pool easily. Let your friends and family play or simply relax! Besides inflatable pools, there is an inflatable beanless bag which serves as a space saving furniture in your living room. If you have guests coming over quite frequently, invest in a couple of these beanless bags which can be inflated when required. Also, there is a tiger face hit me bop bag which is a perfect inflatable toy for your little one. 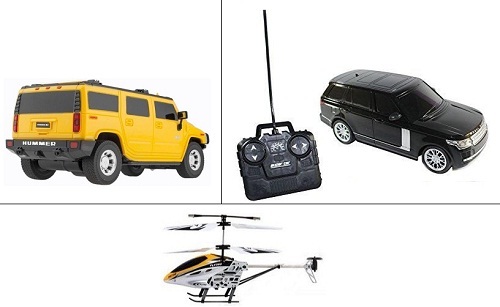 Presenting these toy cars and helicopters with a remote. The beauty of these remote toys is that they look very real. Let your little one race it around the house. Let your kid own their very first sports car at the fraction of a cost. These nicely designed replicas of real sports cars are superbly designed; you are bound to fall in love with them at once. Playing with remote toys improves your kid's hand-eye coordination skill which is essential for their overall growth. As a responsible parent, let your child enjoy a gadget-free childhood! Instead of handing over your smartphone to your child and letting them expose to the explicit content, invest in these educational toys which look like gadgets but can make your kid learn a lot while they play. Let your kids develop their reasoning ability with these educational toys. 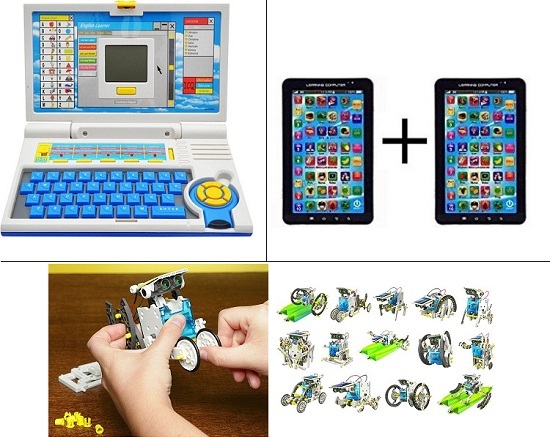 The educational laptop and tablet combo are some of the educational toys which improve your kid's language skills. The 14 in 1 solar powered DIY kit would enhance their logical thinking and mechanical skills.